Faust’s back to basics fiddling needs no Reformation. I will not be the only music lover who feels a little weary when coming to yet another recording of Mendelssohn’s Violin Concerto. This masterpiece needs more than goodwill to get our attention and happily, it does so here. This new recording is a knockout and the coda to the first movement had me sitting bolt upright as it carried me on to its dazzling conclusion. It takes off like a race horse. 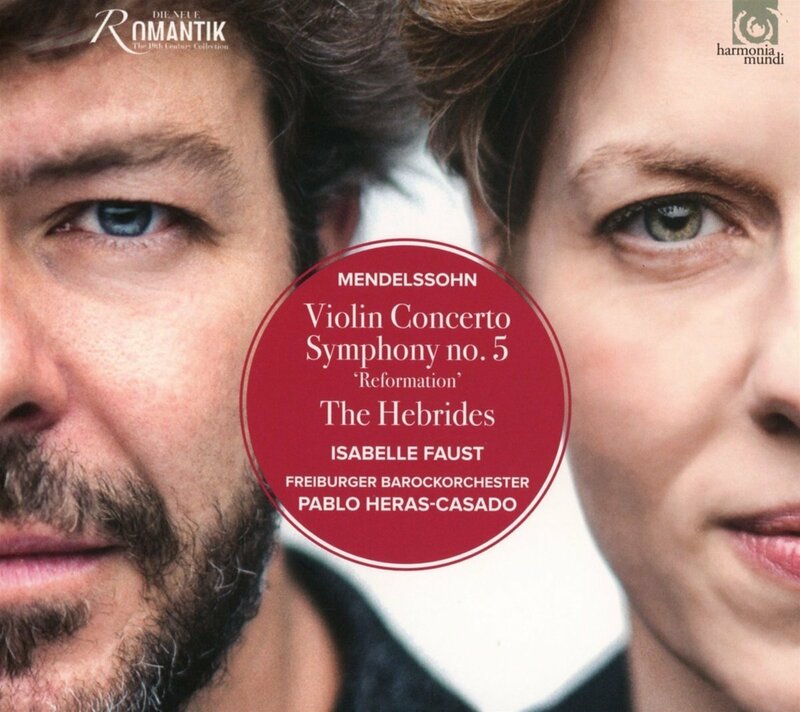 Not only does Isabelle Faust bring an invigorating, if somewhat steely brightness to her performance, the 45 members of the Freiburger Barockorchester under Pablo Heras-Casado make such a superb case for this sharp and brilliant interpretation that I doubt I shall ever hear the work in the same way again. Three cheers! The Hebrides gets similar treatment. The problematic Fifth Symphony was named The Reformation to commemorate the establishment of the Lutheran faith. The composer was also going through a deeply religious period, which led him down a few unfortunate byways, such as introducing worthy hymn tunes into the work. ‘Worthy’ and ‘good music’ do not always co-habit easily and the piece bangs on a bit, lacking the inspiration to be found in the Scottish and Italian symphonies. The composer himself didn’t like the piece much and some musicians found the score unplayable: “much too learned, too much fugato, too little melody,” said one. Still, the bright interpretation rescues the piece, giving it vigour and edge. The German-born maestro is making a comeback thanks to the return of the LP. The Quartet’s offerings include a new quartet by James Ledger, as well as works by Dean, Widmann, Mendelssohn and Shostakovich. Robertson takes the SSO on a trip down memory lane.